Since starting with Isle in January 2017, Matt has gained experience in the water industry from working on a diverse range of projects. Matt has since become the lead on technology dealflow for Europe and African TAG programmes, moving up from the Graduate Consultant role. With excellent technical understanding and analysis skills, Matt excels in detailed due diligence work and horizon scanning. Through projects such as developing Isle’s Water Innovation Platform for Africa, Matt has experience in working closely with clients to understand their needs and how solutions could be implemented to solve critical issues. 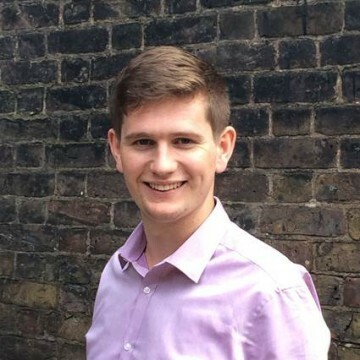 In addition, Matt has worked diligently on projects for UK water companies and UKWIR, developing expertise in the most pressing issues in the industry such as desalination, mains cleaning and smart metering. Specific projects of note are the Mains cleaning: Best Practice review on behalf of UKWIR, where all available pipe cleaning methods and technologies were reviewed; Smart Metering Horizon Scan for Severn Trent Water, during which smart meters where researched; and the Desalination Best Practice review for Thames Water, which involved global research to understand operational procedures.